Alfresco integration – ready to test without installation of an OCR server – you can use our AutoOCR Test server accessible from the internet. New Step by Step installation and setup documentation. Starting with version AutoOCR version 1.10.3 the setup installs iOCR as default OCR engine which can be used standalone or in addition to the Abbyy OCR engine. iOCR has no page license limitations and is able to process PDF, TIFF or JPEG as input and can generate searchable PDF´s and TXT files. Not so much functions and features to configure and input / output formats. But iOCR is a good solution for low cost and high volume OCR recognition e.g. 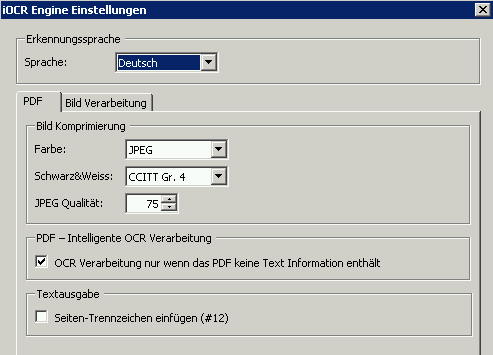 to extract text information from PDF´s and images to built up a full text index (e.g. 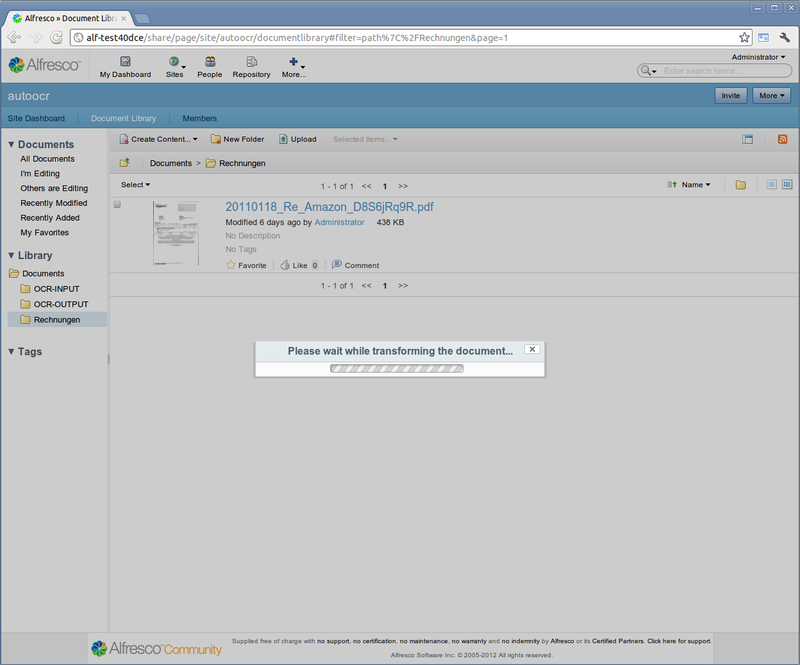 Alfresco Transformer > TXT) and to create searchable PDF´s from scans with a good quality. 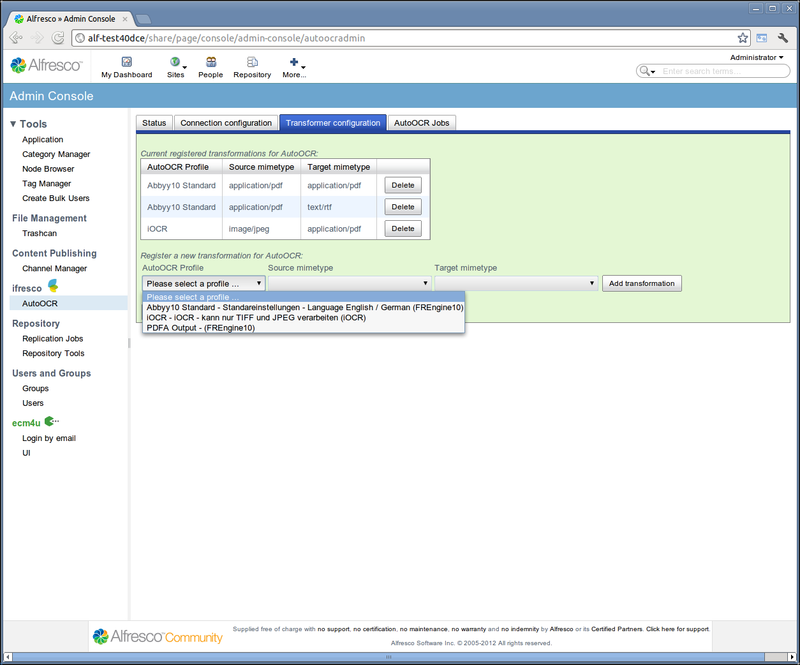 With the installation of 2 AMP´s you can integrate the AutoOCR server with Alfresco. The integration works like a standard Alfresco Transformer or can also be used via Scripting or Java. 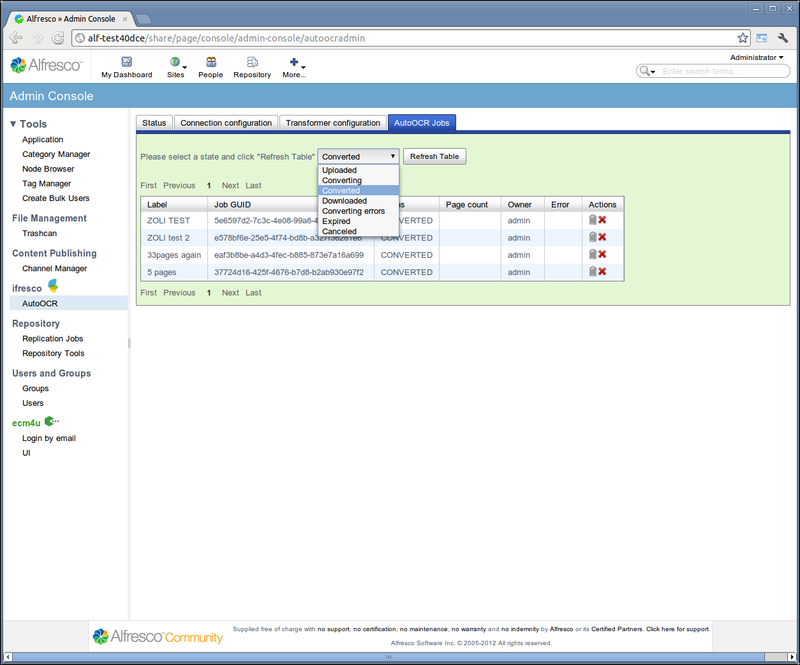 The communication between AutoOCR and Alfresco is done via HTTTP(S) using REST. 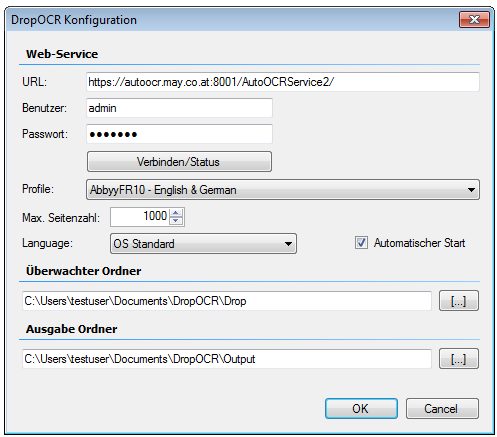 To make it more easy to start testing AutoOCR and the Alfresco integration you can use our ready installed and configured AutoOCR test server (autoocr.may.co.at) which is reachable over the internet and which has both OCR engines (Abbyy and iOCR) installed. With this document each step for the installation of the Abbyy Engine, of AutoOCR, the licensing, the use of our test server and the integration with Alfresco are described in detail with screen shots. 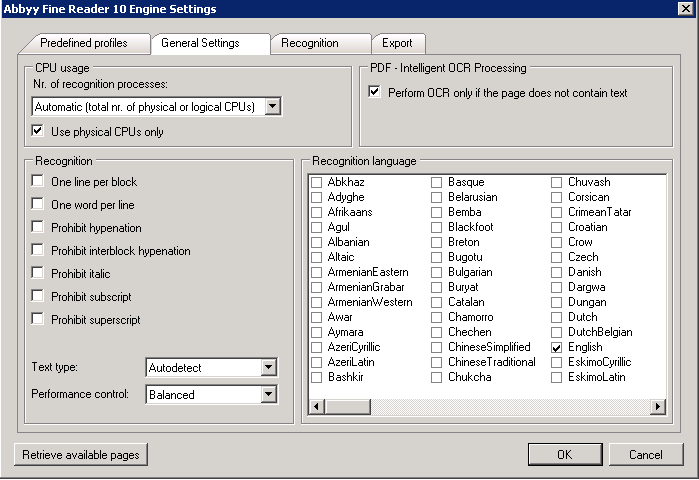 AutoOCR is an OCR server / service which is based on the obviously best OCR engine from Abbyy. 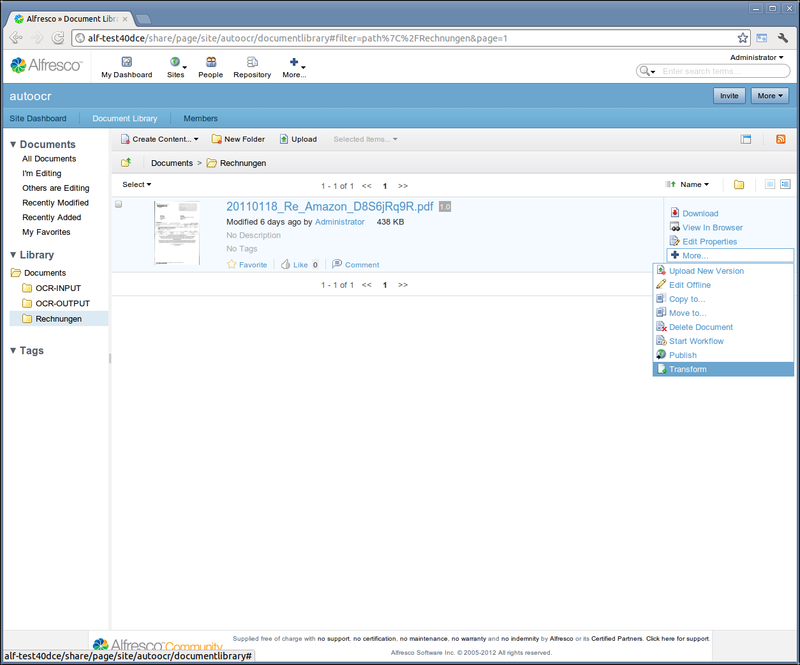 The AutoOCR server has a REST web-serverice interface which was used to integrate it with Alfresco. 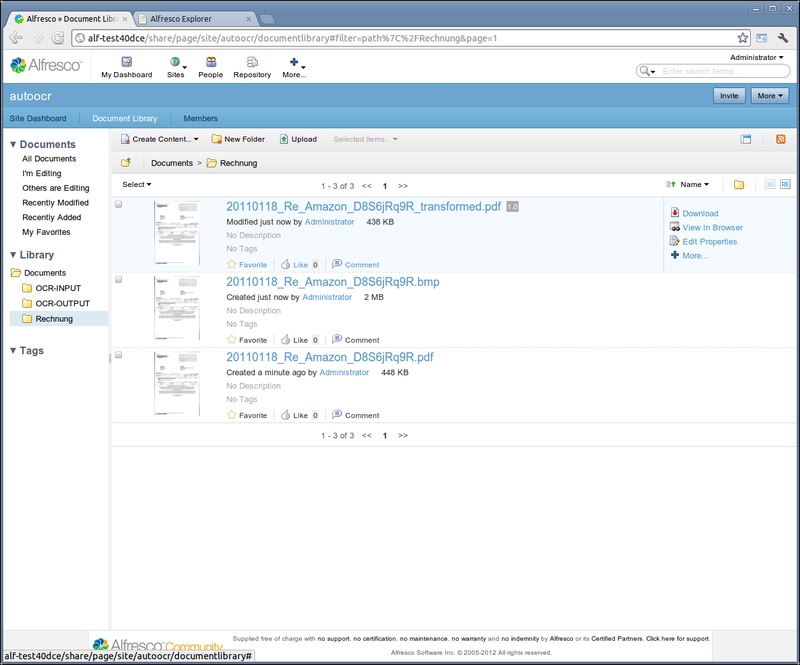 AutoOCR is able to convert image- or PDF- files to searchable PDF´s. In addition to PDF other document formats like TXT, DOC(X), XLS(X), PPT(X), XML, RTF and HTML can also be created. 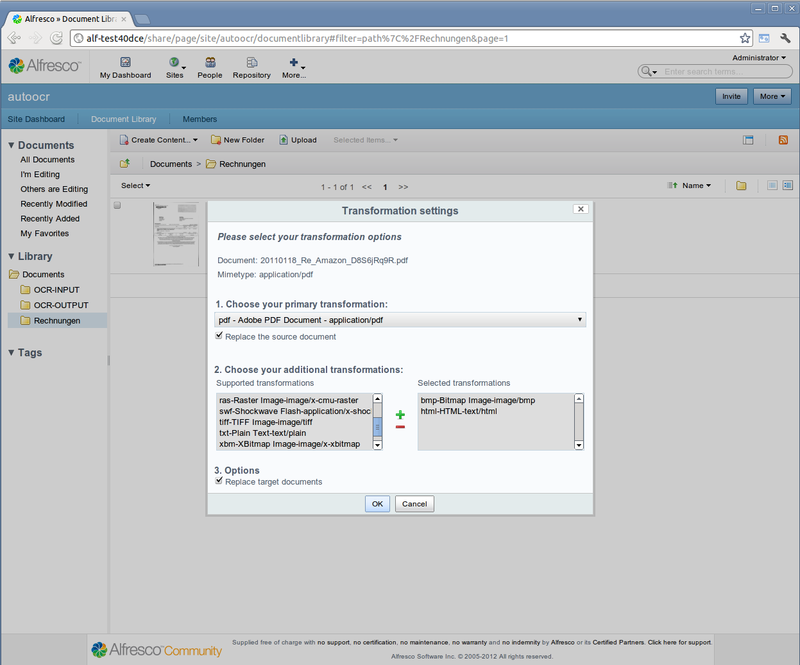 In addition, we have extended the Alfresco share document actions with the Alfresco Transformer integration. Transformer functions are available on any document via the share interface and allow the conversion of documents into different formats. The OCR function can be bound to a folder as an action. So if e.g. a scanned document will be placed in this folder, the processing starts automatically started and the document will be passed to the AutoOCR server. The result is a searchable PDF or other document format that can be immediately sought and found on the Alfresco full-text index. By implementing the additional “transform” document action to the Share UI you can use all your Alfresco transformes and not only the AutoOCR transformers. The “transform” action is implemented general and not only OCR specific. 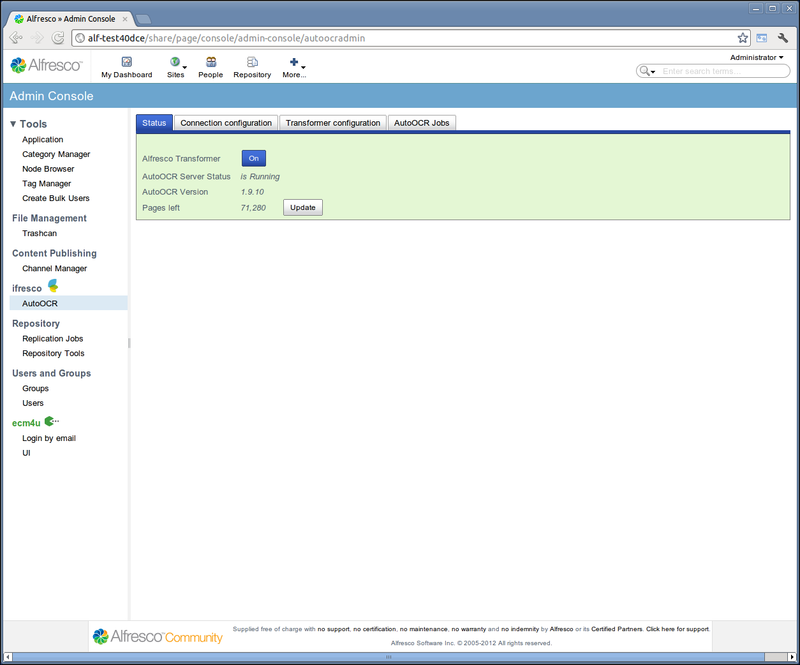 Direct AutoOCR integration as Alfresco transformer with REST web service interface. 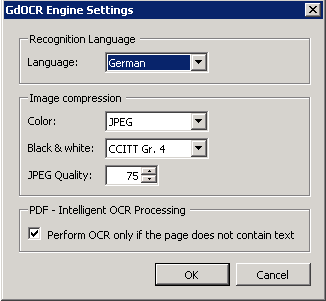 Easy configuration by selecting OCR profiles – all available ABBYY OCR engine settings are combined. 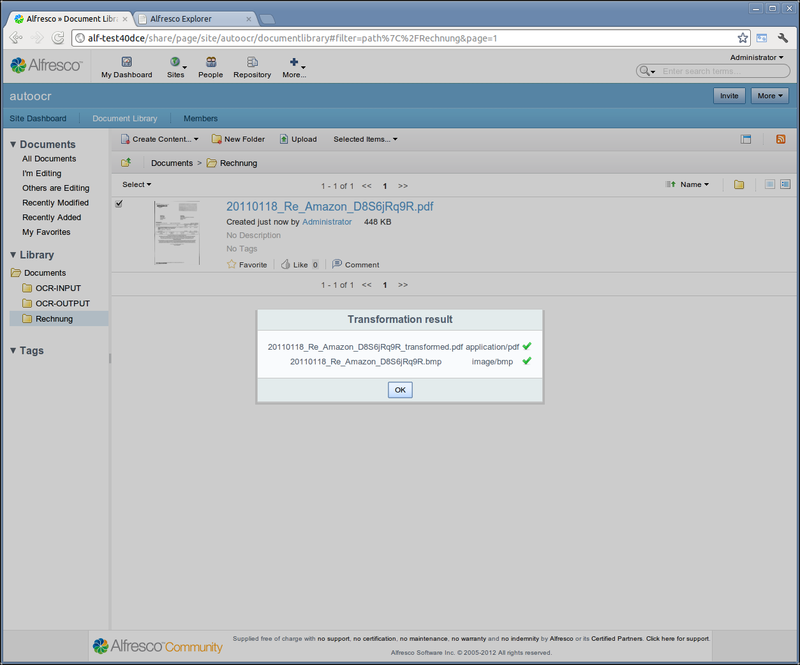 Dynamic transformer configuration at runtime using the Alfresco Share Admin interface. Java client for the AutoOCR service, for use in Java code. The Java client itself has no dependencies for Alfresco. New Share document action “Transform” enhances Share not only with OCR but with all supported transformers.